In addition, Bohlen offers questions for reflection. His writing on the Beatitudes is superb, and his last chapter on what Christ can mean for readers in the day-to-day is thoughtful and encouraging. Bohlen is a gifted writer, earnest in his approach, with a fine ability to tell a story in a simple and memorable way. His arguments are methodical yet disarming, and his conclusions are theologically sound and succinct. Moreover, the book is nicely produced, with charts, color images, and a vibrant map of the Holy Land. 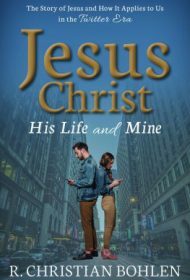 In all, Jesus Christ His Life and Mine is personable, energetic and would make a fine introduction, or refresher course, for readers interested in the roots of Christianity.